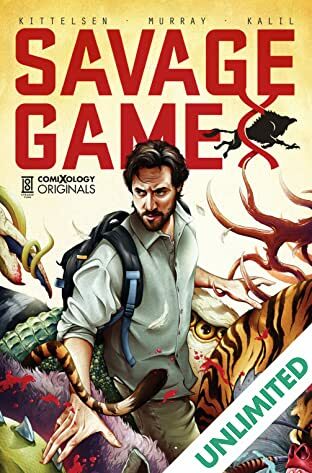 From NFL player Ryan Kalil's company Strange Turn comes an original 60-page sci-fi graphic novel that is a high tech version of The Island of Dr. Moreau. What happens when a rogue titan of Silicon Valley creates his own island nation with no laws to hold him back? You get the Savage Game. Welcome to Liber Haven, where audiences watch genetically modified hybrid creatures fight to the death in a fantastic gladiator-style battle. But Conner Bowen isn't having it. He's on a quest to stop his mad father and the Savage Game. But is it too late? A sci-fiction action adventure like no other. 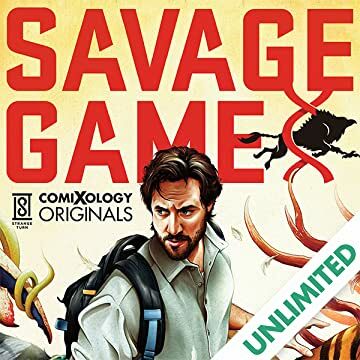 Created by Kalil and written by Shawn Kittelsen (DC's Mortal Kombat X) with noted cover and fine artist Chris B. Murray making his interior art debut. Part of the comiXology Originals line of exclusive digital content only available on comiXology and Kindle with a print version available exclusively through Amazon.com.